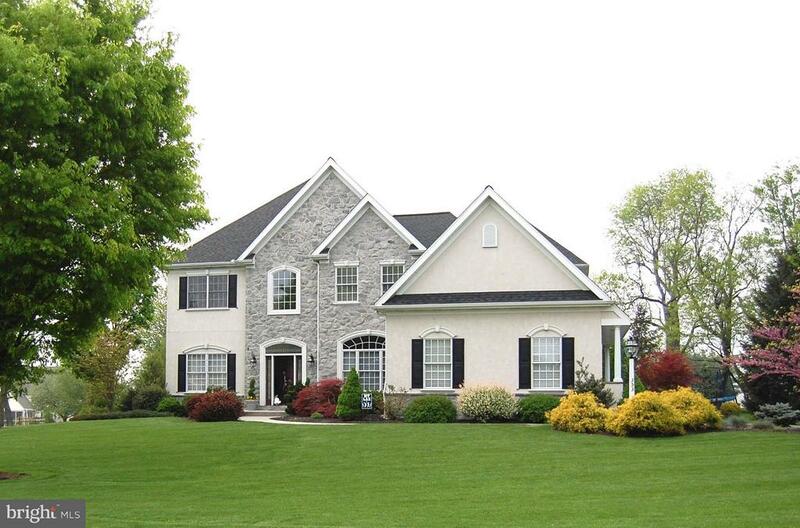 Just minutes from hershey, 1 mile from bent creek cc, this is scholz design's most cherished home plan. Majestic and commanding with classic palladian-style sweeping arches, stunning balconies, and soaring window walls. First floor master suite. Follow your dreams and enter the door through the colonnaded temple front and marvel at the balanced architecture, richly appointed interior, and quiet refinement in every room. The ambiance is perfect for intimate and large social gatherings, with a sunny breakfast area, masterfully designed upper level br suites, and wide array of interior appointments. 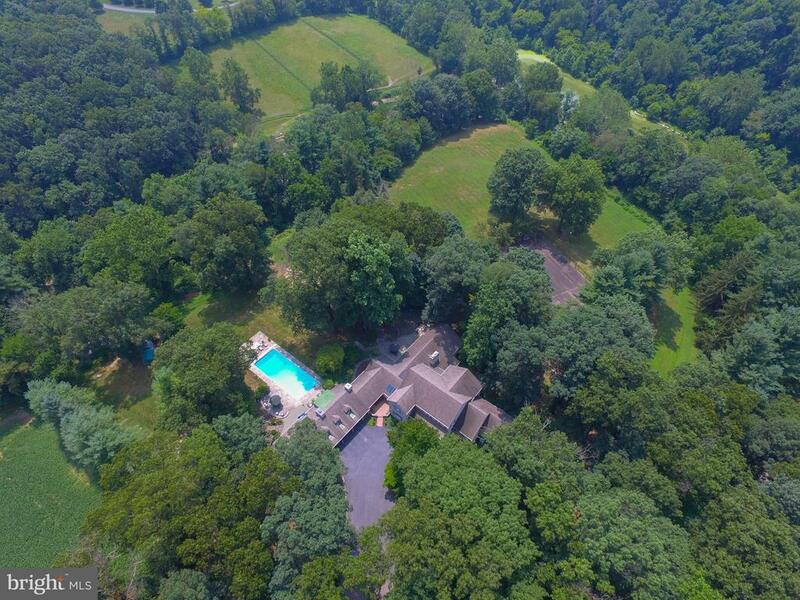 Situated on just over 2 acres with a stream bordering the rear of the property, this magnificent sholz design home welcomes a family or couple desiring a magnificent lifestyle and ample space for entertaining guests. All rooms and hallways in this italian renaissance, southern garden style mansion are warm and cozy, yet large, airy and light. 12000sf with 10000+sf finished. Indoor parking for 8 vehicles, 4 of which are climate-controlled and all have floor drains, indoor faucets and central vac outlets to accommodate indoor car care. Every finish you desire. Custom-laid marble, granite, travertine, and italian tile floors throughout main level with radiant heat installed underneath all, custom millwork throughout, 5 bedroom suites, each with marble bath, custom glass shower doors, and 3 have porcelain whirlpool tubs. More than 100 pella windows and 18 pella exterior doors. All interior doors are 9 ft. Solid core with 4 panels of custom plant-on moldings, swarovski crystal handles, and baldwin brass hinges. Waterford crystal chandeliers, 2 of which are installed on lift cables for easy lowering/cleaning. Window treatments of silk, as you will find in the recently renovated paris ritz carlton. Custom wall paint includes murals, and tasteful use of gold and silver leaf, as well as an "aging" technique used by master painters. Fresh, current paint colors and finishes throughout! Located in the private community of stonehenge, this 5 bedroom, 8 full and 2 half bath home is full of beautiful surprises. A breathtaking backyard awaits with an in-ground pool, pool house, spacious patio, hot tub, tennis court with lighting and gazebo, storage shed, and fenced-in riding ring. The main house includes over 9,000 square feet of living space, and is highlighted by an open floor plan that features a beautifully lit sun room with access to the pool and patio. Also on the main floor is a beautifully designed living room with a gas fireplace, intricate mantle, crown molding, chair railing, and access to the side patio. Perfectly located off the living room is a wet bar with built in cabinets and recessed lighting. In addition, the kitchen is a chef's dream with all stainless-steel appliances, a subzero fridge, granite island, double wall oven, gas cooktop, beverage fridge, endless cabinets, distinct tile backsplash, and much more. A main feature of the second floor includes the custom owner's suite with a cathedral ceiling, two full baths, a sitting area, and walk-in closets. Throughout the home, space is never hard to find with numerous closets in bedrooms as well as hallways. 4 additional bedrooms are located on the second floor, 2 of which have their own baths. The spacious finished lower level is perfect as a game or media room. It includes tile flooring, a half bath, and stairs leading to the main level office area as well as stairs to the foyer. 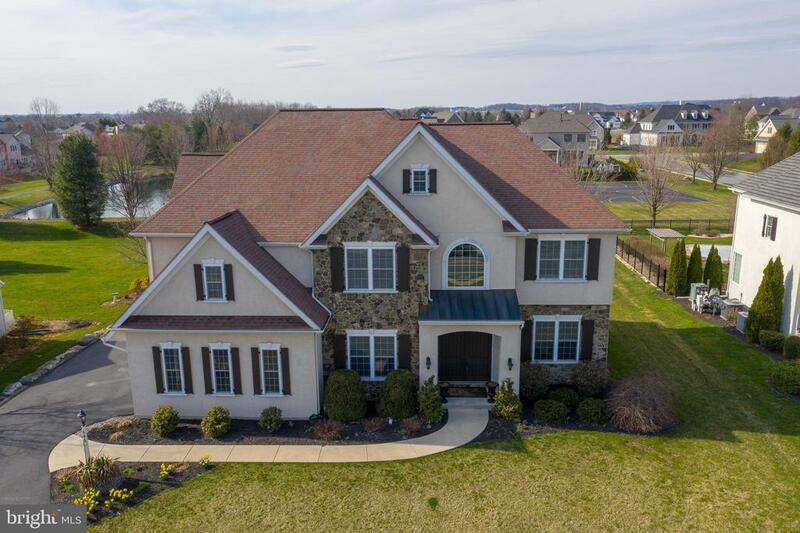 This home is conveniently located near the cities of lititz and lancaster, shoppes at belmont, lancaster airport, and much more. Gorgeous sunsets and everlasting memories await the new owner of this luxurious property. Quality and style describe this parade of homes english manor that was awarded best of show and best kitchen in 2006! As soon as you enter the home, you'll admire the fine craftsmanship, sleek design, and the abundant warm natural light that shines throughout. The dazzling gourmet kitchen has a large center island with prep sink. The six-burner gas range makes cooking a delight. Lighted cabinets, a walk-in pantry, and a butler's pantry add to an already spectacular kitchen. Just off the kitchen is a combination breakfast room and family room. The family room is complete with a gas fireplace and two sets of doors opening to the fabulous patio, which includes a built-in viking grill with side burners and a pergola with ceiling fans and drip lines for plants. The main level and patio, as well as the second floor owner's suite and bath, include a built-in sound system. The first floor also offers a private study with a gas fireplace. The upper level features five bedrooms, including the oversized owner's suite with room for sitting. The owner's bath has double vanities, a jetted tub, and a walk-in shower with double shower heads, plus an oversized walk-in closet with built-in shelves, cabinets, and windows that open to let in fresh air. The finished lower level is an entertainer's dream with a two-level bar, kitchenette, a tv or theater area plus room for a pool table or other games. Highlighting the lower level is a wine room with an arched doorway, ceramic tile floor, and cedar wine racks. The home includes plenty of parking with an attached two-car garage that is heated and has new overhead doors, as well as a one-car detached garage. With numerous updates and improvements, this bent creek award winner is move-in ready. Don't miss an exceptional home that comes with distinctive difference! Prepare to be impressed. A great home for entertaining. Featuring outside living space with a 40 x 20 roman crystal lighted pool, 1500 square foot patio with pergola, full outdoor kitchen and mature professional landscaping. Step inside for the bright open floor plan with 10-foot ceilings throughout the main floor and floor to ceiling windows. Custom kitchen and breakfast room with ss appliances, marble serving island and breakfast bar. Plenty of other upgrades with split staircase, whole house sound system, tray and coffered ceilings, custom arches and wood finishes and a stacked stone fireplace. With the finished lower lever there is over 4700 square feet of finished space. Be sure to view the detailed floor and site plans. With gorgeous views of the 16th fairway, this bent creek country club home is first class. The spacious patio is truly fantastic and includes a covered living space with wood burning fireplace--it's an entertainer's paradise! The home offers an open floor plan with over 5,300 square feet of living space. There are five bedrooms, including a first floor owner's suite with access to the back patio. The cook in your family will love the gourmet kitchen and large breakfast room. You'll appreciate quality touches in this home--high ceilings, crown molding, wainscoting, and trey ceiling. Lovely hardwood flooring that was recently refinished can be found throughout the first and second floors. You'll find an office on the first floor, as well as a formal living room that also could be used for a piano room. One of the second floor bedrooms comes with a private bath and walk-in closet that leads to a finished attic closet. The guest bath on the second floor opens to another finished attic closet, so you'll have lots of extra storage space. Huge lower level is wonderfully finished with plenty of room for tv, games, pool table, ping pong table and darts. Lower level also features two finished rooms that can be used for bedrooms or study rooms, as well as a half bath. There's even a workshop in the lower level. Pretty landscaped yard has a state of the art irrigation system. Numerous upgrades have been made to the home, most notably, a new roof. 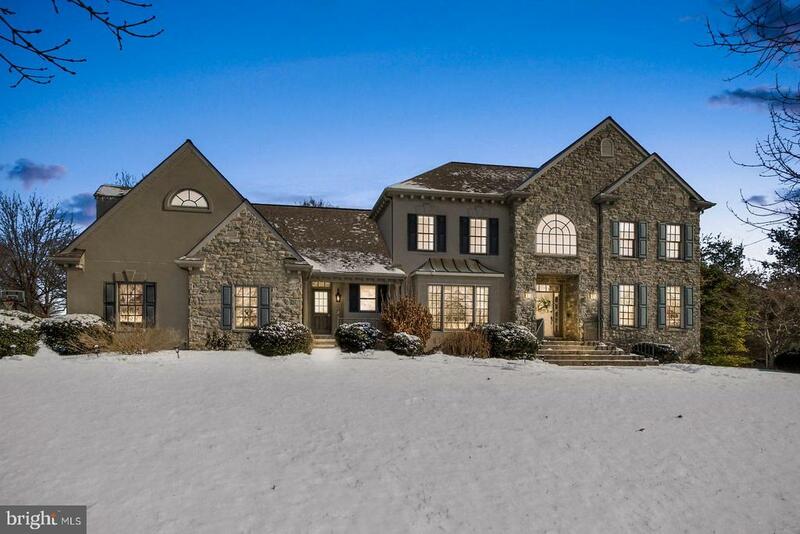 This beauty of a home has so much to offer, and it's conveniently located in manheim township. A spectacular find! 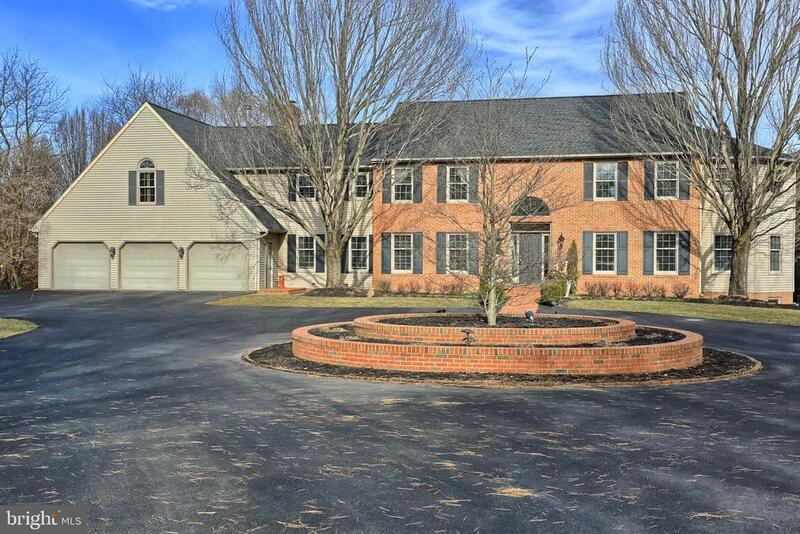 Outstanding opportunity to purchase an impeccably maintained and updated home on almost 2 acres in the heart of manheim township. 5 generously sized bedrooms with 4 full and 2 half baths. 5th bedroom could also be office with built-ins and gas fireplace. Separate craft room in expansive finished basement with wet bar. Pool with new equipment and pool house. Loads of mature landscaping create a park-like setting you won't wan't to miss. With over 6,000 sq ft of living space, this millpond property is simply incredible! It has everything imaginable and is move-in ready. 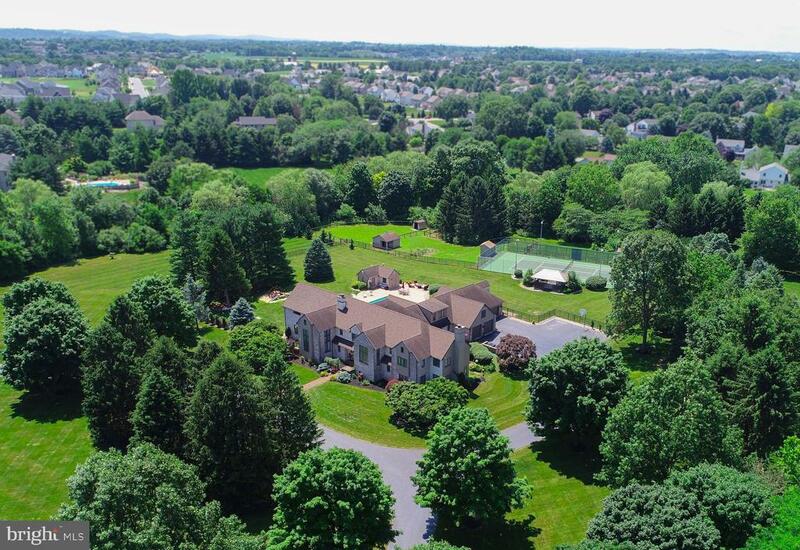 This recently renovated colonial has many updates and improvements throughout, such as new appliances, exterior upgrades, and ecofriendly utilities including geothermal heat. Also, there is a new roof as of december 30th 2018, new exterior siding, new sheet rock, and freshly painted bedrooms. On over half an acre little touches everywhere embody home, such as plantation shutters, a 1st floor owner's suite with a private sitting area that leads to its own deck. An added bonus is hardwood flooring, high ceilings, and crown molding throughout. For more formal occasions, the formal dining room boasts a built-in serving area and two fireplaces. A fully equipped kitchen is an area of the house that everyone will congregate to as it features an oversized center island, stainless steel appliances, and hardwood floors. Along with 5 bedrooms and 4. 5 baths, there is also a finished lower level that is mesmerizing with a family room, game area, kitchenette with eating area, full bath, and exercise room with a sauna, as well as the ability to conveniently walk out to the patio and pool area. As for the exterior, it will simply take your breath away. The exterior was built for entertaining with an in-ground pool with retractable cover, a hot tub, and multi-tier deck makes for a permanent vacation. Offering a relaxing setting after the chaotic day of work, this property is the home for you!